ut though the money was good, it wasnt enough. 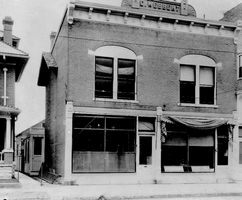 Milton and Susan Wright had taught their children to take pleasure from intellectual challenge, and without their knowing, this had become the driving force in Wilbur and Orvilles lives. Their early careers reflect this. 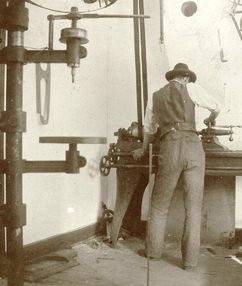 After they learned the skills required to be printers, they moved on to the problems of building printing presses, running newspapers, repairing bicycles, and building them, all in rapid succession. 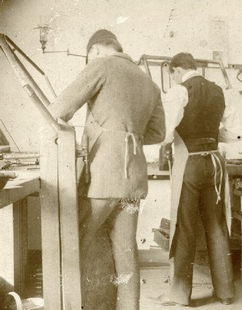 In short, they loved to learn. And once they had learned to build bicycles, they began looking for something new. 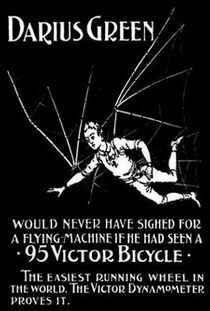 The next logical challenge had already been anticipated by several visionaries who noted that the obstacles to human flight were similar to those faced by cyclists. 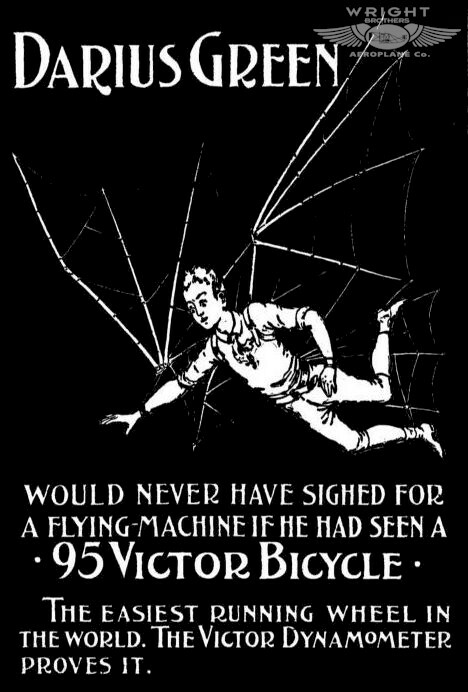 Among them was James Howard Means, who wrote in his journal The Aeronautical Annual in 1896, "It is not uncommon for the cyclist, in the first flash of enthusiasm which quickly follows the unpleasantness of taming the steel steed, to remark: Wheeling is just like flying!"
This bicycle ad from 1895 echoes James Howard Means' sentiment. 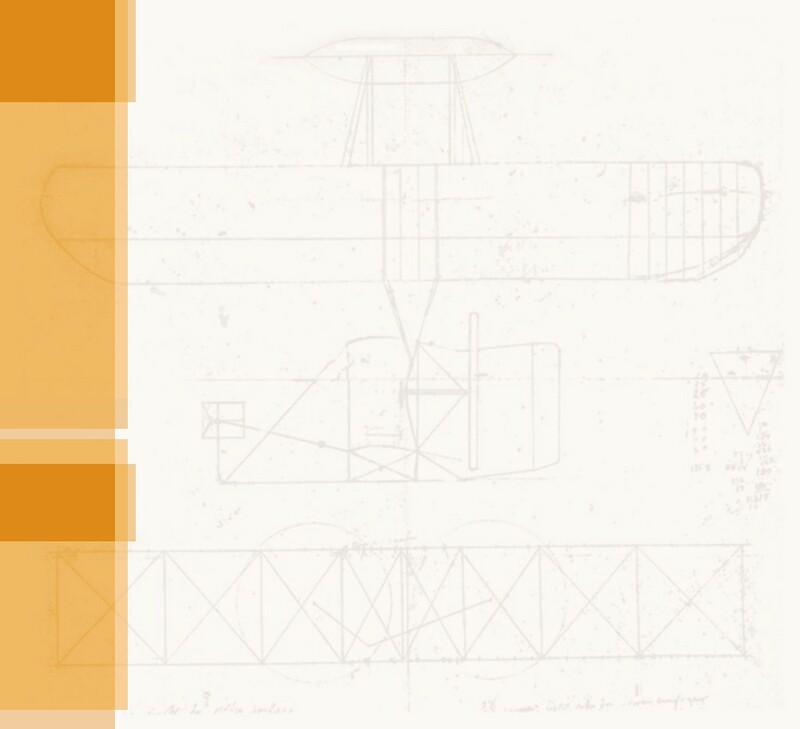 "Darius Green and His Flying Machine" is a famous story poem written in 1869 by John Townsend Trowbridge. It pokes fun at backyard inventors with dreams of flying. Read it HERE. 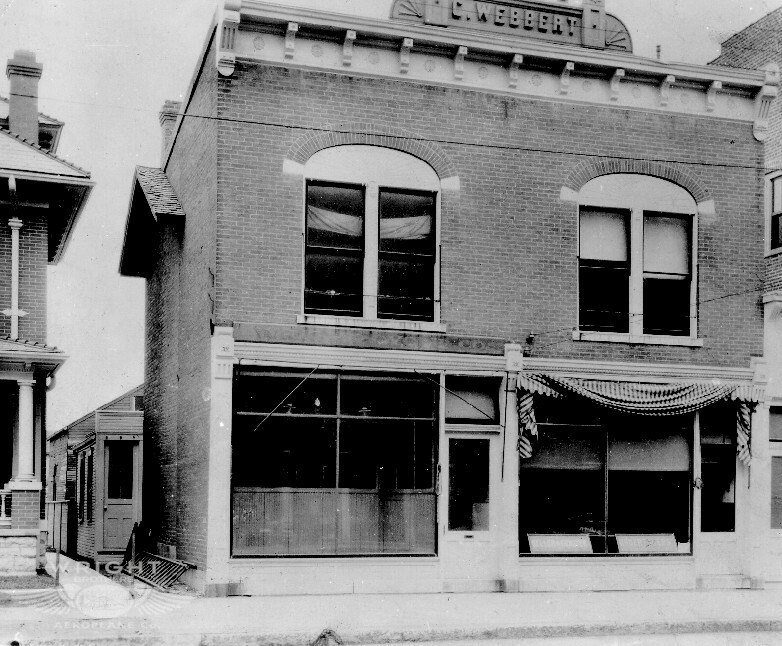 The Webbert Building at 1127 West Third Street in Dayton, Ohio. 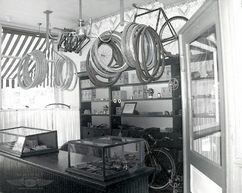 The Wright Cycle Co. occupied the shop space on the left. 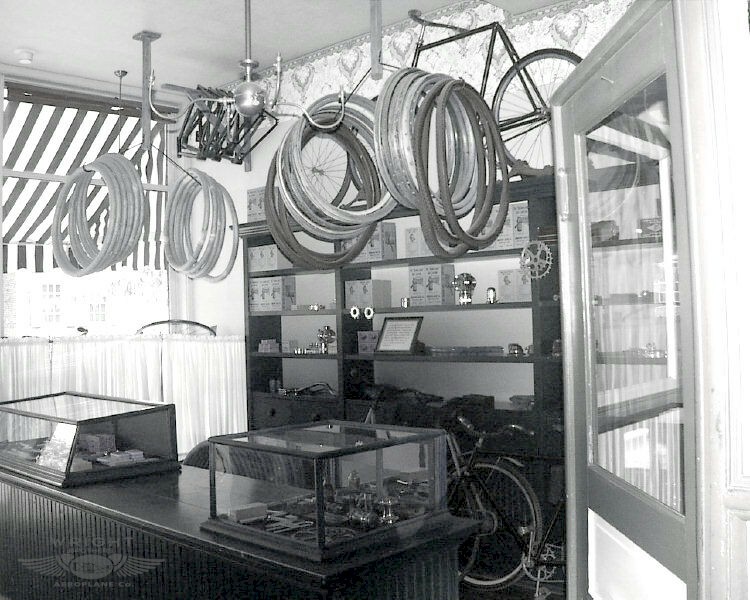 The show room at the Wright Cycle Company, as it has been restored at Greenfield Village, part of Henry Ford Museum in Dearborn, Michigan. 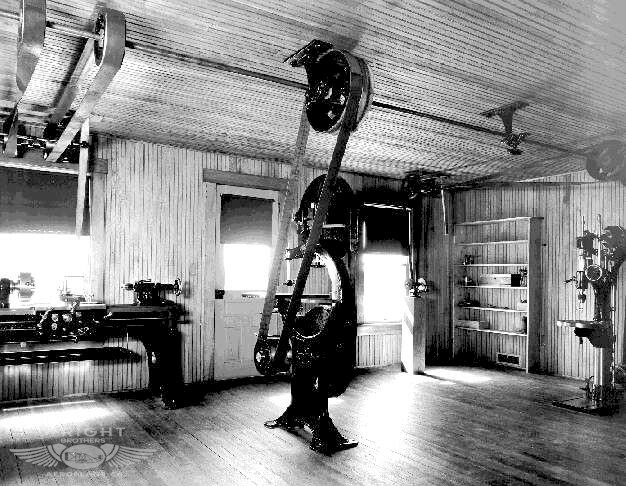 The interior of the Wright Cycle Company workshop as it has been restored at Greenfield Village. 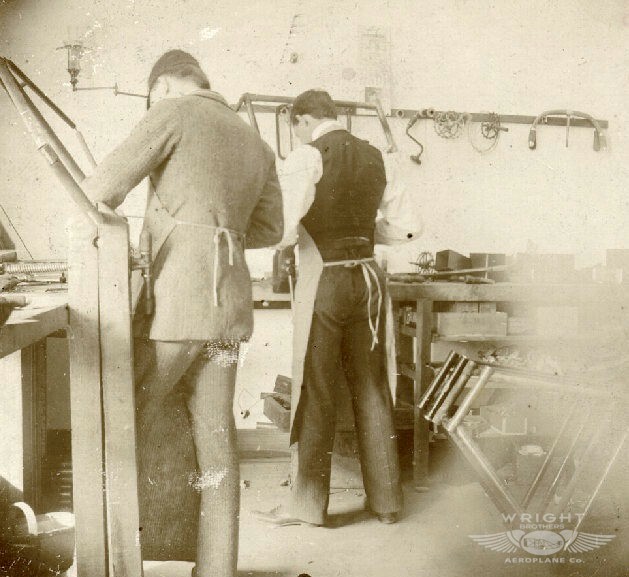 Orville Wright (right) and Charlie Taylor (left) at work in the bicycle shop about 1901. Charlie was a skilled "mechanician" the Wrights hired just after they began their aeronautic experiments. 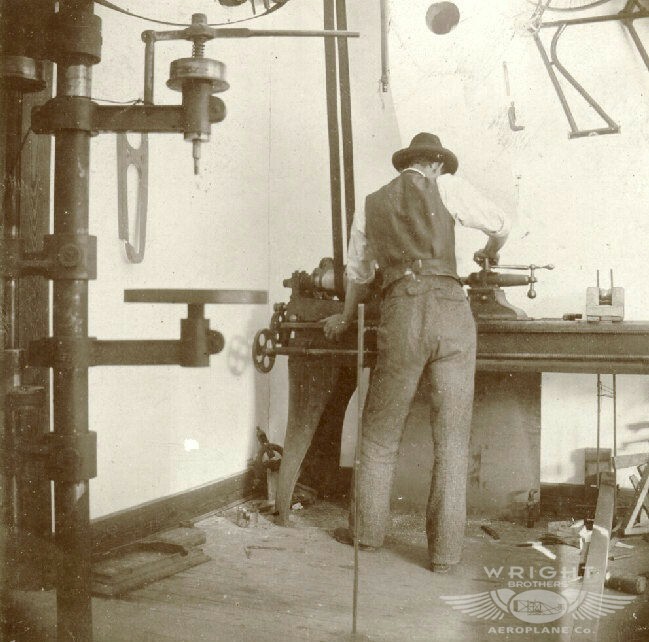 Wilbur Wright at work in the bicycle shop.